Associate Attorney, Baker Botts L.L.P. "The consistent preparation and professionalism cultivated by the Baylor Music Program are valuable assets from the band hall to the boardroom." Jamie Yarbrough (BME 2008) is currently an associate attorney with Baker Botts L.L.P. in Houston, Texas. Jamie graduated from Baylor with a Bachelor of Music Education with an emphasis in euphonium in 2008. He spent 3 years as an assistant band director in the Azle ISD band program. 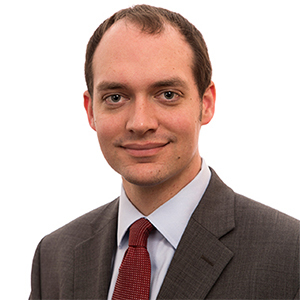 In pursuit of a new challenge, Jamie then attended law school at the University of Texas School of Law where he graduated with high honors and was a member of the editorial board of the Texas Law Review. Following graduation, Jamie went on to receive the highest score on the July 2014 administration of the Texas bar exam. Jamie currently practices corporate law with a focus on capital markets, mergers and acquisitions and Exchange Act reporting. During his first 2 years of practice, he has been involved in transactions worth approximately $50 billion and has served as counsel to several members of the Fortune 500.